7 Pretty Skirts To Mix & Match With Your Shaadi Outfits! Do you have yet another friend or cousin getting married? Have you run out of wedding outfits or are just plain bored with the same old anarkalis and sarees? Not to worry! We’ve got you covered. Mixed and matched skirts and lehengas are all the rage these days and there’s no better time to try out this trend than in the peak of summer. Here are seven beautiful skirts that will look great at any function, from a daytime mehendi to the big day itself. This shimmering pink confection already has hints of orange. Take it a step further and pair with an orange top for a fashion-forward look. Price: Rs 599. Buy here. This pretty, printed skirt is as light as the feathers it displays. Pair it with a yellow or orange top to stand out, or with the more traditional silver if too much colour is not your thing. Price: Rs 599. Buy here. 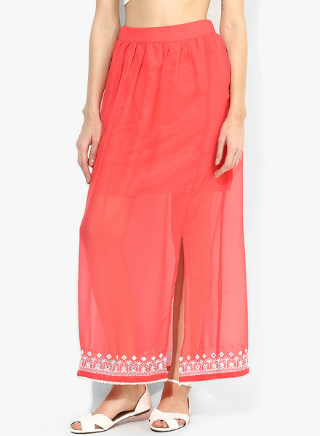 If you’re looking to go low-key for a daytime mehendi, try this minimal coral number. 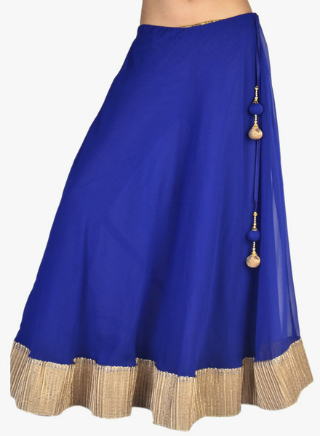 Pair with a white chikankari crop top for a striking and timeless combination. Price: Rs 650. Buy here. The bride can’t wear black but there’s nothing stopping you from giving the classic colour a go! 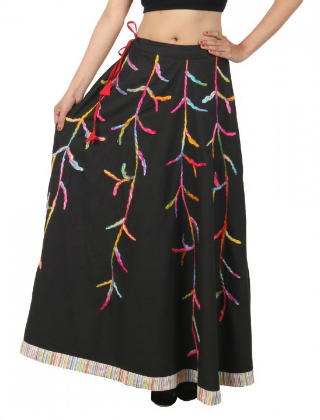 Pair this striking skirt with any colour under the sun or keep it cool with a matching black. Price: Rs 849. Buy here. Deep yellows are always evocative at weddings. 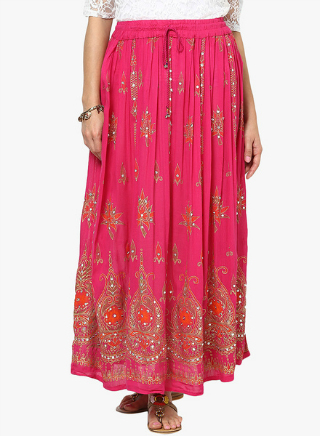 Pair this flared style with a gold blouse and finish with juttis and a stunning pair of earrings. Price: Rs 1,890. Buy here. 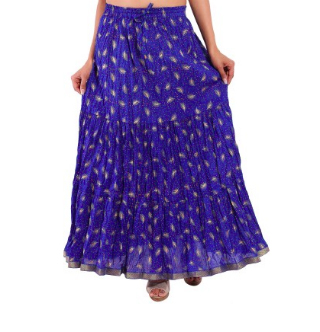 This stunning electric blue lehenga skirt has all the makings of a memorable outfit. Pair it with gold or let your imagination run wild. Price: Rs 2,250. Buy here. 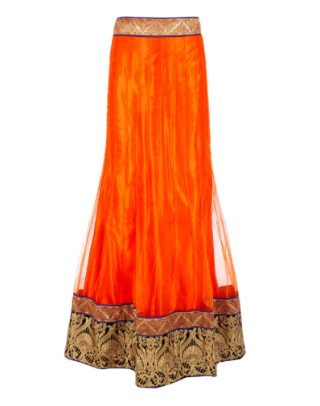 This beautiful, orange lehenga skirt will have you sorted for the big day. Pair it with gold-embroidered top on a navy blue or black base for a look straight out of a wedding catalogue! Price: Rs 4,000. Buy here. MUST-READ: 6 Celebs Who Wore AMAZING Outfits To Their Friends’ Weddings! MUST-READ: 8 Fab Salwar Suits Styles – And How to Wear Them for Every Body Type!